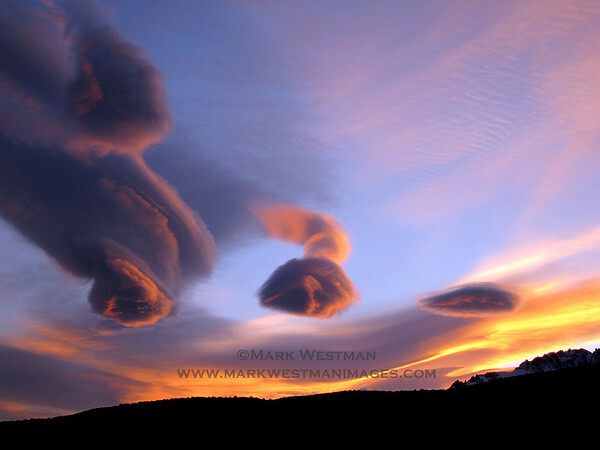 Welcome to Mark Westman Images. I’m 48 years old. My work is multi-faceted and includes civil engineer, photographer, wildland fire helitack crewman, and currently, Denali National Park mountaineering ranger. 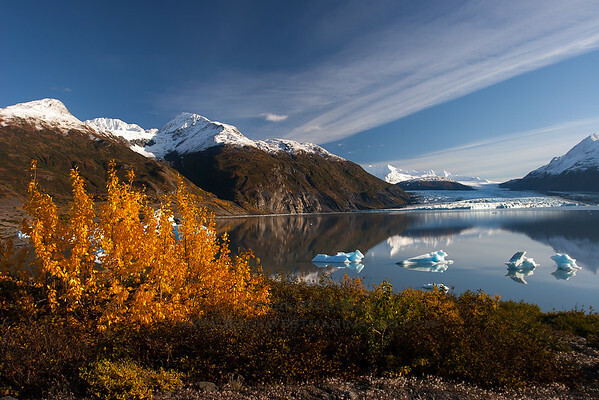 I live in Talkeetna, Alaska, with my wife Lisa Roderick. Outside of work I enjoy rock climbing, ice climbing, alpinism, and traveling. I grew up in Southern California. In 1979, when I was nine years old, my dad took my brother and me on our first overnight backpacking trip in the San Bernardino Mountains, igniting a lifelong obsession and passionate interest in mountains and natural places that has continued through the past 36 years. I began climbing in 1992, when I finished my civil engineering studies at the University of Washington, and for the past 23 years I have made climbing and traveling one of the central priorities of my life. In 1996 I went to Alaska for my third attempt on Denali in as many years. My friend Joe and I succeeded in climbing the mountain's remote south buttress that season, my first 'big mountain' route and a climb that set the pace for the exciting years ahead. It was on this very same trip in which I met Lisa for the first time. 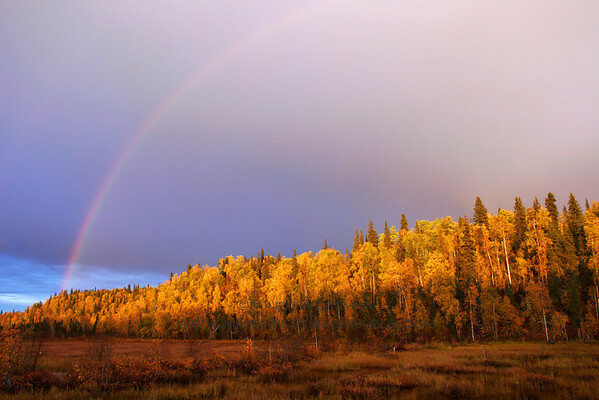 We have been together for 19 years, along the way building a home in Talkeetna and flourishing as inseparable companions for countless adventures, travels, and ascents. The mountains and the lifestyle of climbing and traveling have helped to produce a long list of rich relationships in my life, many of which began by walking into the mountains as near-strangers, and returning as lifelong friends. Indeed,.it has provided nearly everything that matters to me. From my many childhood trips in the Sierra Nevada, to my still-growing list of visits to the Alaska Range, Patagonian Andes, and many other ranges and iconic travel destinations, I have been consistently obsessed with photography and in capturing what I see. Through my photography I share with you some of the rare perspectives I have been fortunate to encounter, and I further hope that these images will impart a sense of the story behind each one. The website has two primary sections and can be easily navigated through use of the menu bars at the top of the page. 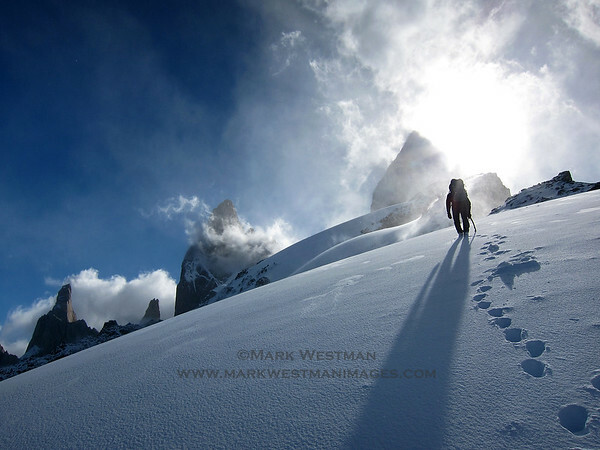 Viewers who are primarily interested in landscape images and mountain photography, or who are looking for an edited collection of my favorite and best climbing photographs, should begin by navigating into the "Fine Art Images" section. Users interested in viewing a much more comprehensive selection of my climbing photography should begin by navigating into the "Climbing Photography Database", which contains all my selected images plus many more. All of the images found on my website are available for purchase as prints and for digital licensing. 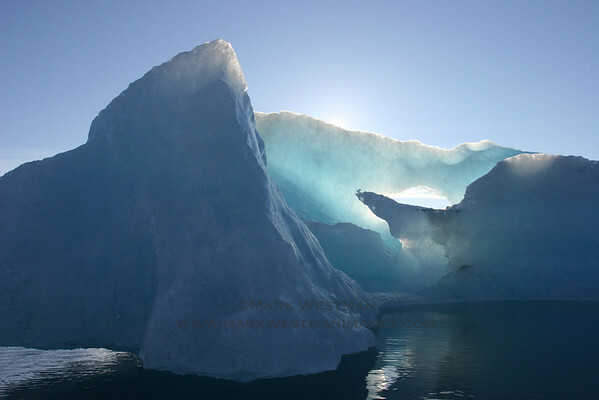 For digital licensing, please contact me for further information and licensing rates. ALSO: be sure to check out the various options for ready-to-hang wall art! These include canvas mounts, metal prints (my personal favorite) and paper prints which can be ordered mounted to gator board or 3/4" standout mounts-all ready to hang on the wall, straight out of the box! Thanks for visiting my site. I hope to see you in the mountains! 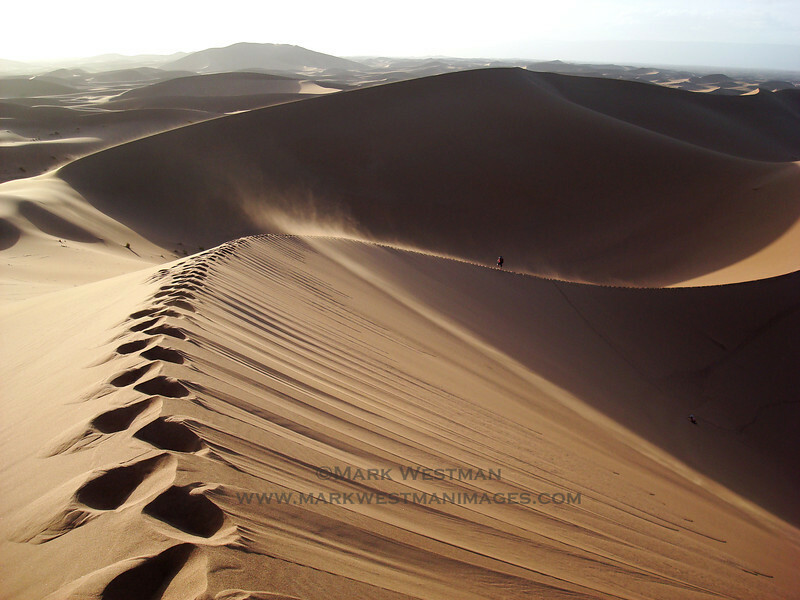 Erg Chigaga sand dunes, Morocco. Joe Puryear nearing the end of the spectacular and breathtaking knife edged traverse high on the Infinite Spur of Mount Foraker. 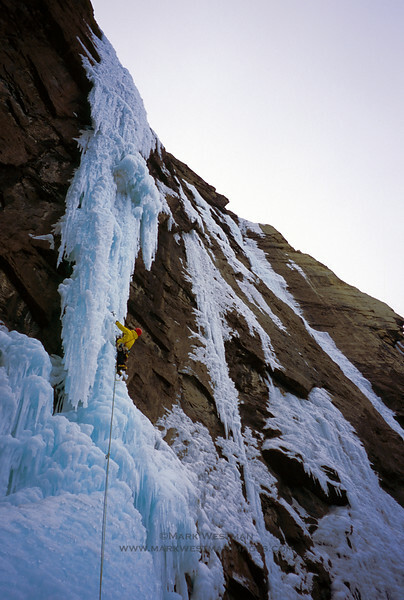 This photo was featured in a Black Diamond catalog in 2003. 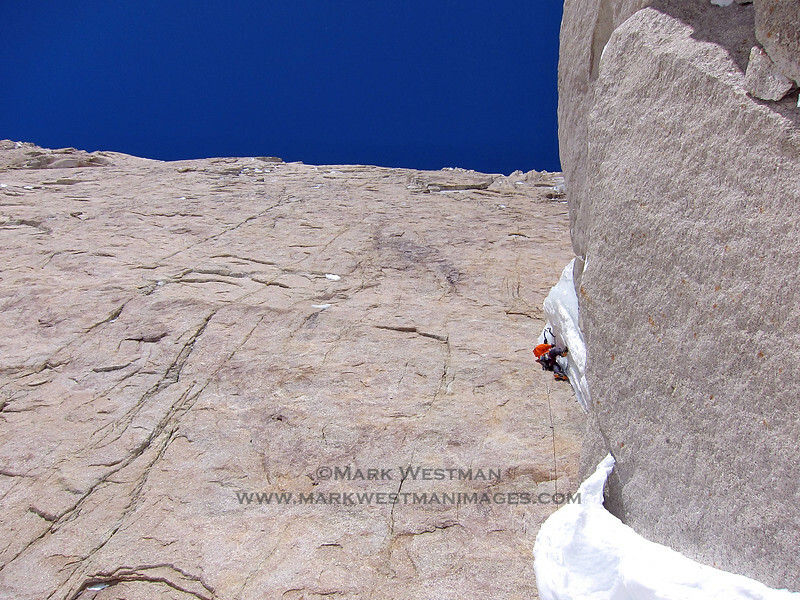 Jesse Huey climbing overhanging ice at 14,500 feet on Denali's Slovak Direct. 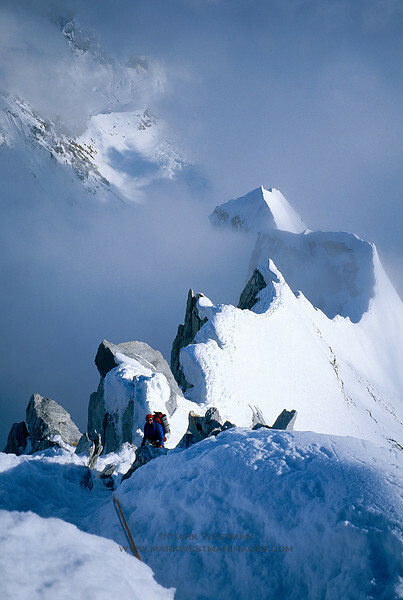 This route was first climbed by a Slovak team in 1984 and is one of the most committing and difficult routes in Alaska. A summer storm overwhelms Mount Huntington and Mount Hunter. Wind clouds over El Chalten, Argentina. The awesome and rarely formed first pitch of The Terminator, Trophy Wall, Banff National Park, Alberta. 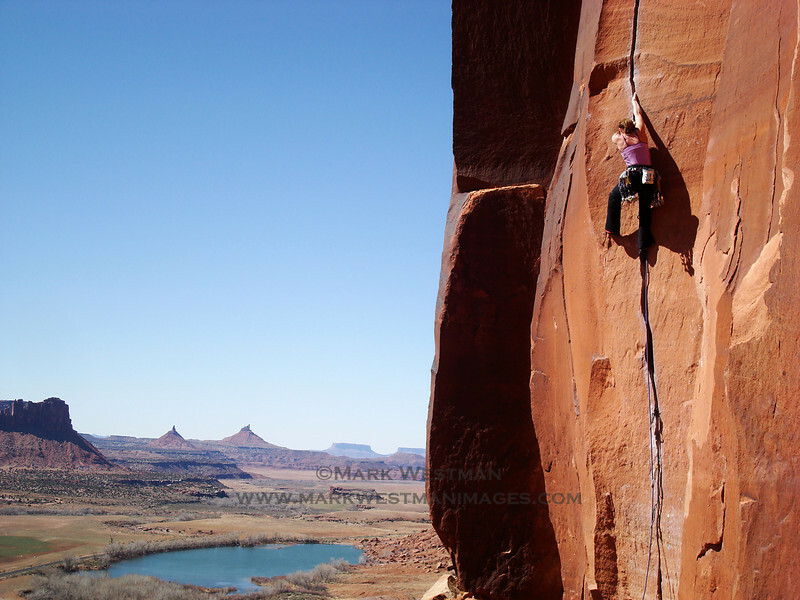 Climbing "Scarface" in Indian Creek, Canyonlands National Park, Utah. 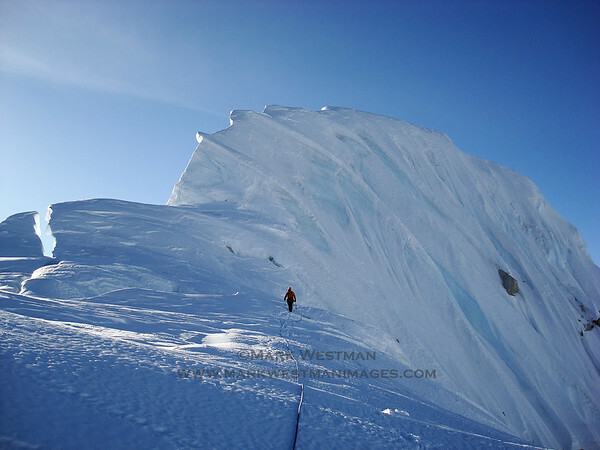 Approaching Paso Superior with the Fitzroy group above. 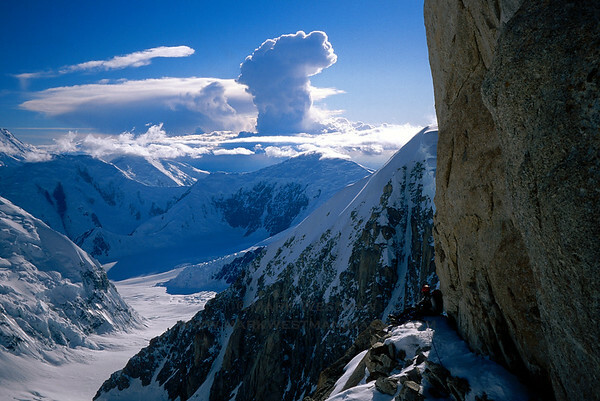 A small bivouac ledge on Denali's Cassin Ridge. 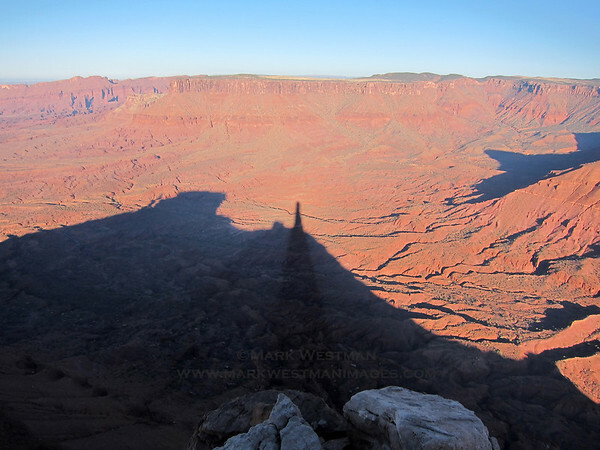 Shadow of Castleton Tower over the desert, from Castleton's summit. Shadows over the Incredible Hulk, Sierra Nevada, California. 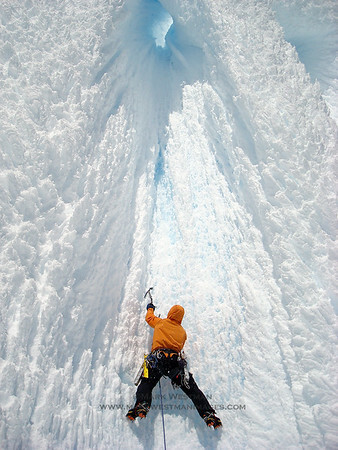 Eamonn Walsh entering one of the wind-formed rime ice tunnels high on Cerro Torre's West Face route. 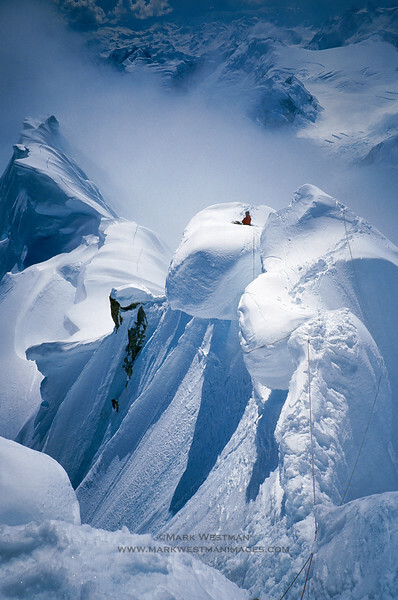 Eamonn Walsh descending the summit ridge of Mount Huntington. 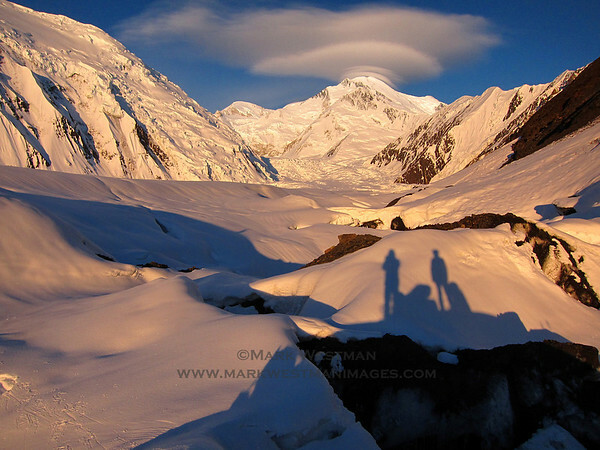 A beautiful morning on Denali's Muldrow Glacier. 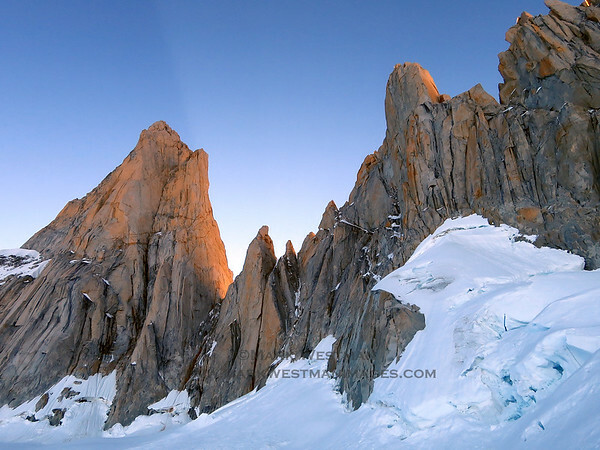 L-R: Cerro Chalten (aka Fitzroy), Aguja Val Biois, and Aguja Mermoz, at sunset from the Piedra Blanca glacier. A rare day of calm, clear weather looking out over the Southern Patagonian Icecap to the coastal Chilean foothills in the far distance. Cerro Pier Giorgio left of center. Taken from near the top of Fitzroy's north (aka Goretta) pillar in January, 2015. 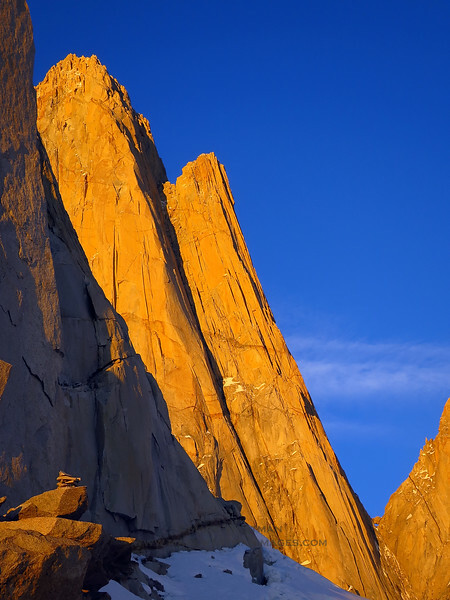 Sunrise on Fitzroy's north pillar. 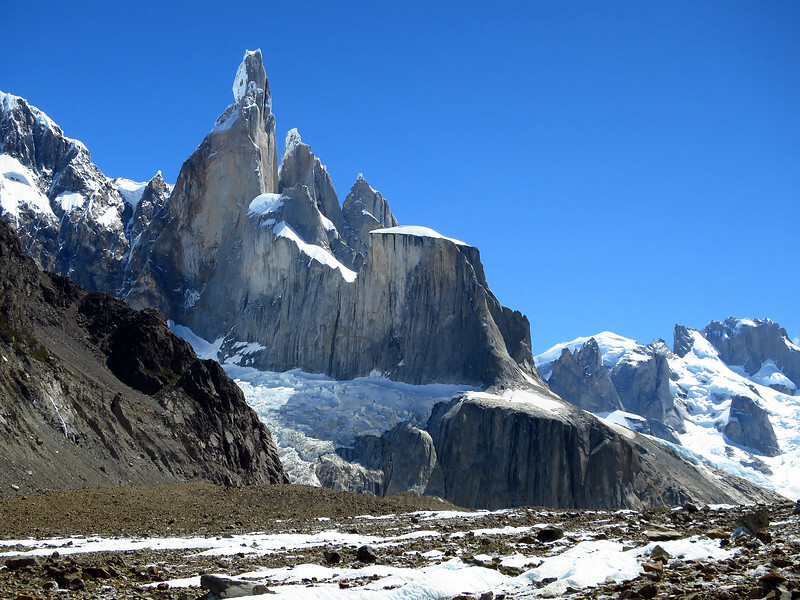 Cerro Torre looming over the Torre Glacier. 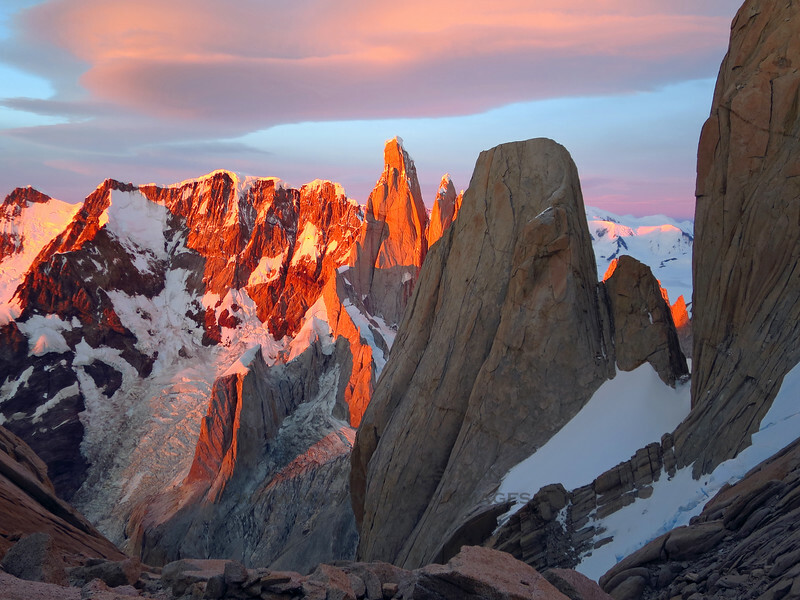 Cerro Torre and Aguja Desmochada at sunrise. 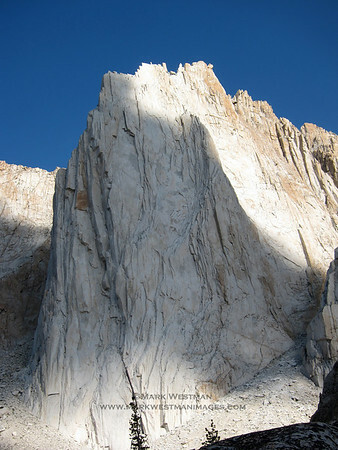 The route "Circus Pets", of which we made the second ascent, is visible following a splitter crack system on Desmochada, reaching the summit left of center. Paul Roderick flying his DeHavilland Otter in front of Mount Huntington. 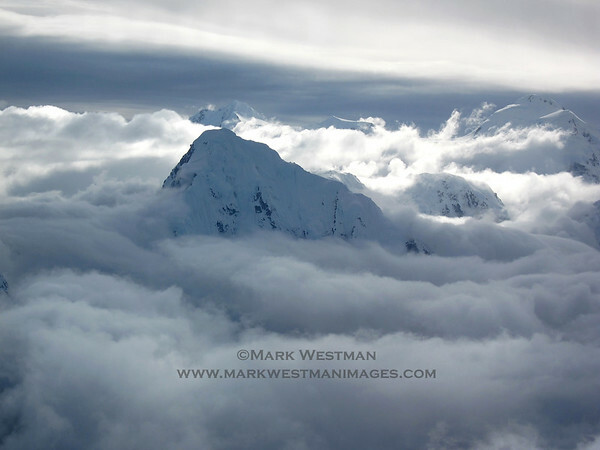 I took this photograph from 11,200 feet during an ascent of Denali's Isis Face. 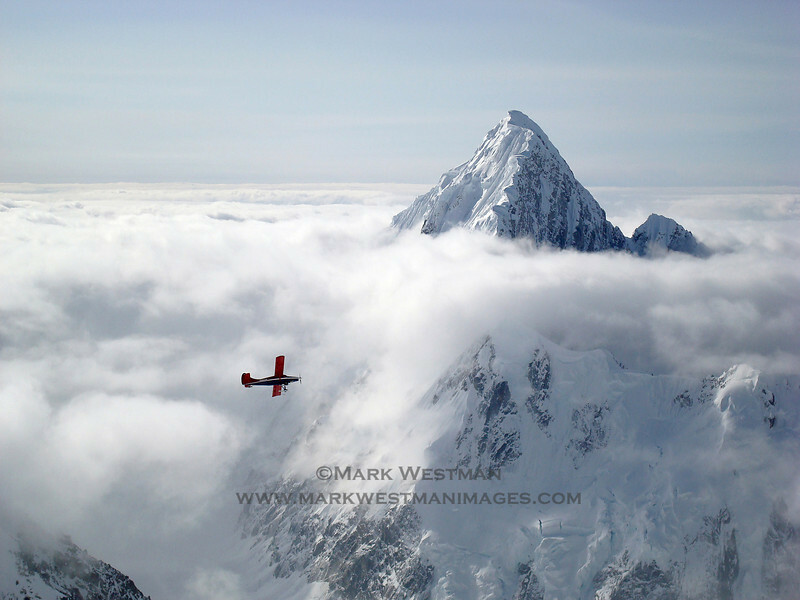 Paul is my brother in law and the owner of Talkeetna Air Taxi, and was flying by to see how we were doing. 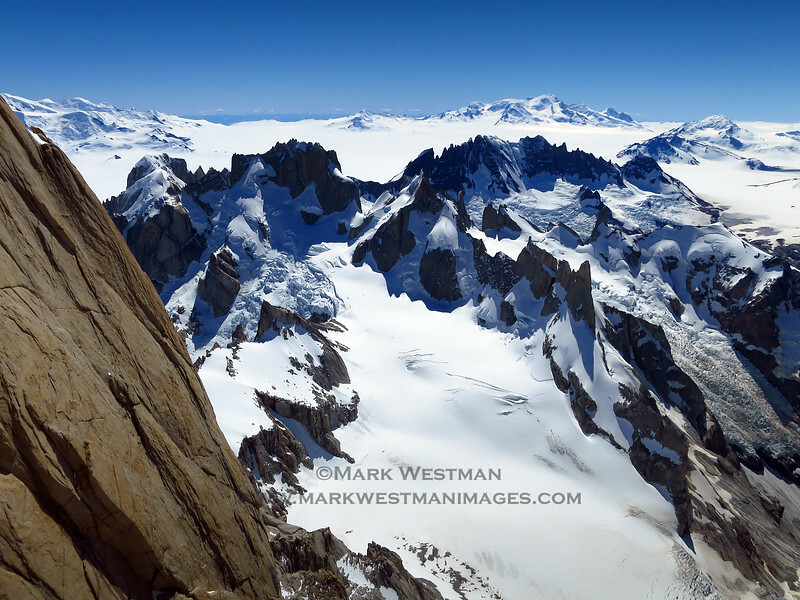 This photo was featured as a double page spread in the Table of Contents page in Alpinist Magazine, issue #29.